A verb form is an action word. It is used to describe an action, state, or occurrence. A verb used in forming the tenses, moods, and voices of other. Let’s see English verbs list. Physical action verbs list - Run, talk, dance, shout, cook. Mental action verbs - Think, believe, fear, want, wonder. Linking verbs - Am, is, are, was. Here I will give you, 10 example of the verb. Above I gave you list of verbs. Now I will provide verb examples in sentences. Here is a verb example list. I was late for office yesterday. He was planning to go on tour. It is a great feeling to win the award. Let’s see 10 types of Verbs. The main verb can express physical or mental action. It describes what the subject of a sentence is doing physically or mentally. So action verbs or Main verbs are used to express action. Action verbs express a particular action at any time to show action. That may be discussing with something or someone. Action verbs are give, eat, walk etc. Possession verbs are have, own etc. It requires one or more objects. Transitive verbs can be classified by the number of objects they require. A transitive verb always has a noun that receives the action of the verb. It is called the direct object. Transitive verbs are action verbs that can attach directly to a noun. Transitive verbs are action verbs that always express doable activities. A verb needs an object to make complete sense is called a transitive verb. The teacher made the question paper. An intransitive verb has two characteristics. Let’s see one after other. First one is an action verb. It is expressing doable activities like arrive, go, lie, sneeze, sit, die, etc. Intransitive verbs are action verbs that always express doable activities. No direct object follows an intransitive verb. The second one is unlike a transitive verb. It will not have a direct object receiving the action. Intransitive verbs are action verbs, cannot attach directly to a noun. It requires the help of a preposition. For example, as in walk to the store, comply with the regulations, proceed with the inquiry. Mr. Becker jogs every day. The wicked hunter was hiding. The department store opens at six o’clock. Mr. Ben is driving carefully. Most of the verbs are regular verbs. 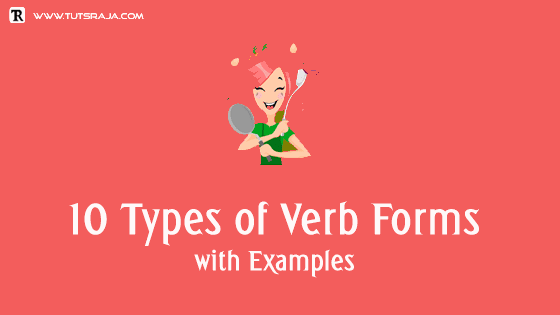 Regular verbs are formed by adding –d or –ed to the end of the verb form. It will change the past tense and past participles. Regular verbs are call, laugh, love. Irregular verbs are Bet, Bid, Burst, Bust, Cast, Cut, Hit, Hurt, Let, Preset, Put, Quit, Read, Set, Shed, break, broke, broken, cut, run, meet, come, repay, swim, be was. Modal verbs are also known as auxiliary verbs that are used to express abilities, possibilities, permissions, and obligations. Be, do, have are similar to the auxiliary verbs because they help the main verb in a sentence. They are different because they each have a special meaning. Here may means maybe, can't means impossible or unable, and should is asking for advice. Modal verbs are must, shall, will, should, would, can, could, may, and might. Model auxiliary verb are Ought to, need, dare. Note: V2 is king of the English word. 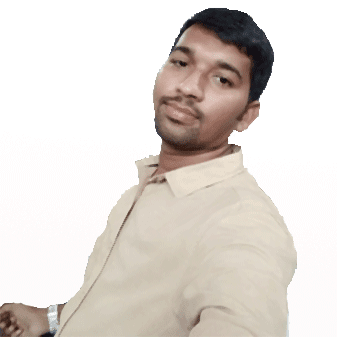 Am is, are used for structural manner but some case, we are using sense manner. She is completed - Completed (time). Could – Most request able word. Will – All subjects, used for future planned activities. Dare - Shows capability/ Capacity. The verb can be served as either main verb or auxiliary verb. When it acts as the main verb, it typically couples a grammatical subject with an adjective. Phrasal verbs aren’t single words. Phrasal verbs are combinations of words. Those are used together to take on a different meaning. Auxiliary verbs are used to change the tenses and make questions. The auxiliary verb is used together with the main verb. It helps the main verb of a sentence. So we can conclude, auxiliary verbs are also known as helping verbs. Auxiliary verb be is used to indicate the continuous and the passive voice. Auxiliary verbs express necessity or possibility. The primary auxiliary verbs in English are be, do, have. The modal auxiliary verbs are can, could, may, might, must, shall, should, will, and would. Let’s see auxiliary verb categories. Linking verbs connect a noun (or pronoun) to words that describe it, expressing a state of being or a condition. State of being verbs is also known as linking verbs. Linking verbs are non be verbs that link a grammatical subject to an adjective. This noun or adjective is called the subject complement. Linking verbs explain a link between the subject of the sentence and a noun or adjective. Common linking verbs are appear, become, feel, grow, look, become, remain, seem, smell, sound, stay, taste, turn. Diamond is the hardest substance. Stative verbs express a state rather than an action. Stative Verbs are related to thoughts, emotions, relationships, senses, states of being and measurements. Stative Verbs are like, know, belong, love, realize, fit, hate, suppose, contain, want, mean, consist, need, understand, seem, prefer, believe, and depend. Whatever the action is confirming to takes place in the future. Whatever the action, which was completed. Note: to-infinitives are followed by the adjective.